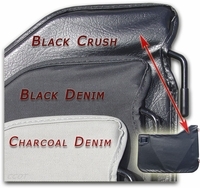 "Supertop®" fabric is produced using Haartz 18oz vinyl denim that's mildew and stain resistant., The thread is marine grade T-135 industrial strength, Bestop uses high quality scoop-counted, nylon coil zippers for ease of removal and replacement, and sealed seams for water-tight protection. New Supertop® has "Cool and Convenient Features". Bestop's Supertop let's you zip-out the rear window and roll-up the side windows for serious open-air driving! 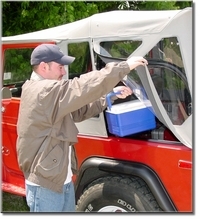 You can now unzip the side window for easy access to the rear cargo area of your Land Cruiser. No more snaps to snap or climbing over your front seats to get something from the back". Just unzip the side window and grab a coat or a drink. 2-Piece Soft Doors are HERE! "Bestop offers galvanized, powder-coated hardware for extra durability" The bow system adjusts to three positions offering a tight custom fit. "Supertop" kit includes a powder-coated windshield channel that offers a draftless and secure attachment to the windshield frame. "Supertop's Exclusive Belt Rail System"
No more body drilling to install snaps. Belt Rail System attaches to factory quarter panel channel holes to anchor top... Simple and Strong... Bestop's patented belt rail attachment system eliminates the need for snaps and makes for easy installation and removal of the top. Only Bestop's extrusion design assures a taut, trim fit to the body, windshield and tailgate of the Land Cruiser. Bestop's Supertop let's you zip-out the rear window and roll-up the side windows for serious open-air driving! 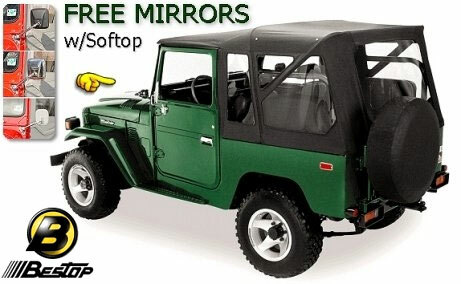 FREE Pair of Safari Hinge Mirrors w/Supertop® Purchase. Supertop® includes Hardware, Soft Top and Soft Windows. 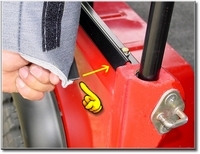 Supertop® features the Bestop Patented Belt-Rail system. Belt-Rail system tightly secures Supertop® to body tub. Installation is Fast and Easy resulting in a tight fit. Nylon coiled #10 YKK Zippers make it easy to operate window. Marine-grade, mildew-resistant T-135 Industrial strength threading. 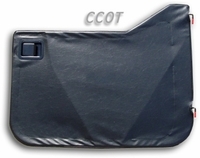 Sealed seams throughout for water-tight protection. Supertop is loaded with state-of-the-art features, the Land Cruiser Supertop is equipped with the Bestop patented Belt-Rail attachment system, which eliminates snaps and ensures a tight fit. The Land Cruiser Supertop also features premium Haartz stretch-and-set fabric with high stain and mildew resistance, a fully adjustable bow system, galvanized powder-coated hardware for durability, and a zip-out rear window. 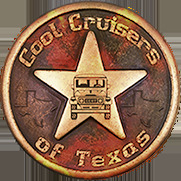 Fitting Land Cruiser FJ40 vehicles, 1964-1984, the Supertop is available in black (01) and black denim (15) and is sold with or without 2-piece doors. 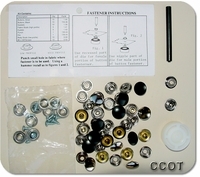 Each Supertop kit includes hardware, soft top and windows for a complete installation. See More Pictures of Bestop's Supertop. 2-piece Doors split in to half doors. A very high quality and well constructed product! Doors are perfectly color-matched with tops. Gray doors match Supertop® and Tigertop®. Doors will ship oversize. Doors sold in Pairs. Visit 2-Piece Softdoor Page w/Pics, Click. 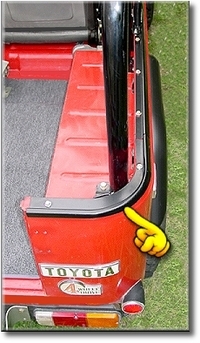 Note: Bestop Softdoor will not fit FJ40s with Factory Softdoors & Factory Soft Top. 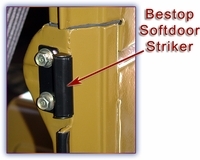 Factory Softdoor hinge locations will not match up with Bestop's 2-Piece soft door hinge pin locations. 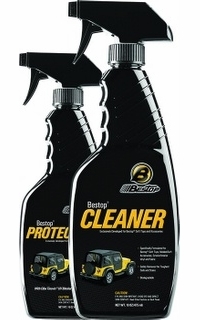 Bestop® Cleaner and Bestop® Protectant are specially formulated to safely provide a total cleaning and protection system to remove the toughest soils and repel dust, grease, and mildew from most Bestop Soft tops and accessories.